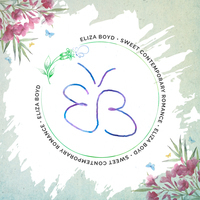 Eliza Boyd is a sweet contemporary romance author. Also an avid reader, she writes novels, short stories, poetry, and whatever else strikes her fancy. Born and raised in Northern Illinois, she now lives in sunny Arizona with her husband and her plethora of animals. When she's not reading, writing, or working, she can be found walking around her neighborhood (for exercise, not for stalking), taking photos of her pets, or catching up on her favorite shows. Catching up really means binge-watching. Feel free to contact her on any of her social media sites. She spends too much time on the Internet, so she'll probably get back to you right away. To ask Eliza Boyd questions, please sign up.
" Hi there. There are two versions of my book up on Goodreads. Can t Hi there. There are two versions of my book up on Goodreads. Can these be merged to one? And can we make sure the one review stays up? Thanks so much. :) ...more "
Eliza Boyd voted for Wild Reckless (Harper Boys, #1) as Best Young Adult Fiction in the Final Round of the 2015 Goodreads Choice Awards.